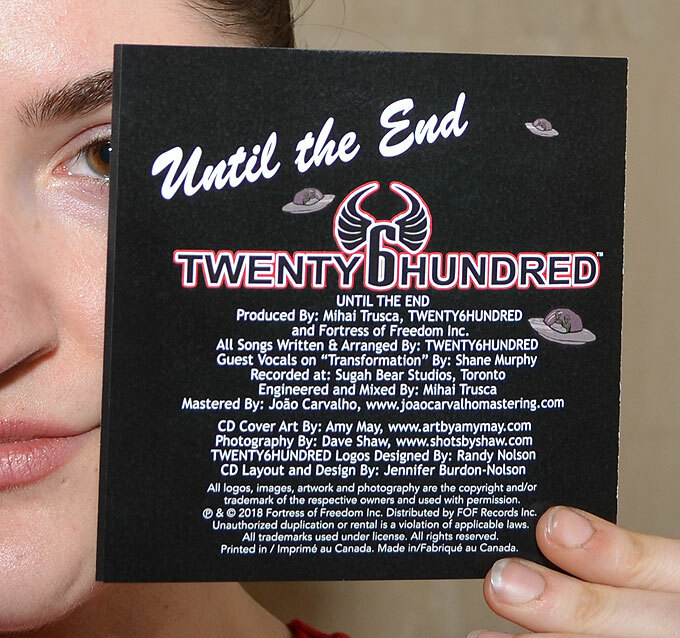 TWENTY6HUNDRED's "Until The End" CD Production is Finished! 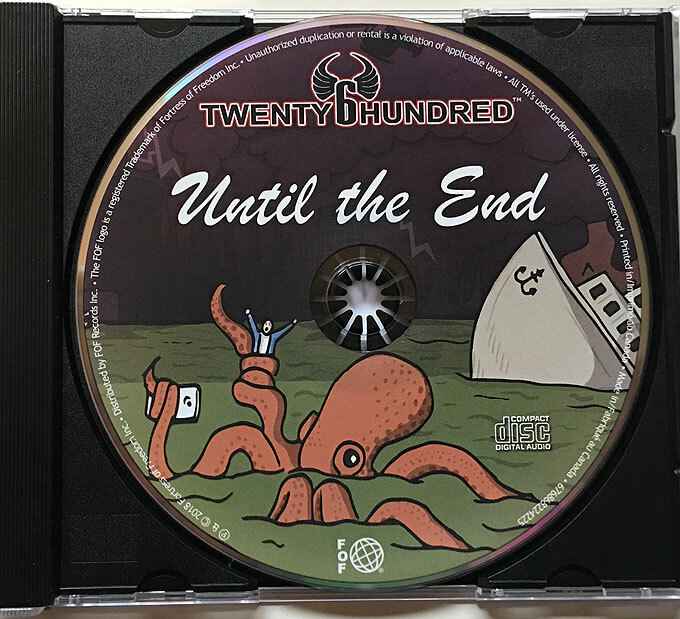 The Fortress of Freedom and FOF Records corporations are excited to announce that CD production of TWENTY6HUNDRED's latest album Until The End is now finished manufacturing. And the back of the traycard! This is the inside of the extractable four panel insert! Finally here is the actual CD as mounted in the CD tray! 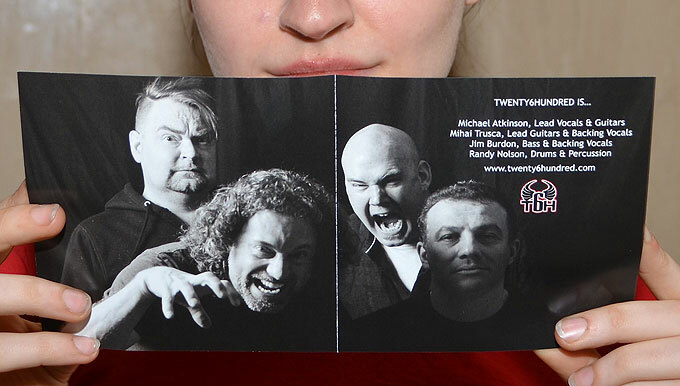 So all of us at FOF and TWENTY6HUNDRED are pleased and proud of the CD production. A lot of work, and I mean a lot of work goes into the manufacturing of an actual CD. From the files alone that make the music to the artwork and formatting and dealing with intermediaries and the plant. It all comes together to produce a product. Yes, CDs are an actual product with manufacturing labeling and all the rest you see on every product you buy off the shelves. 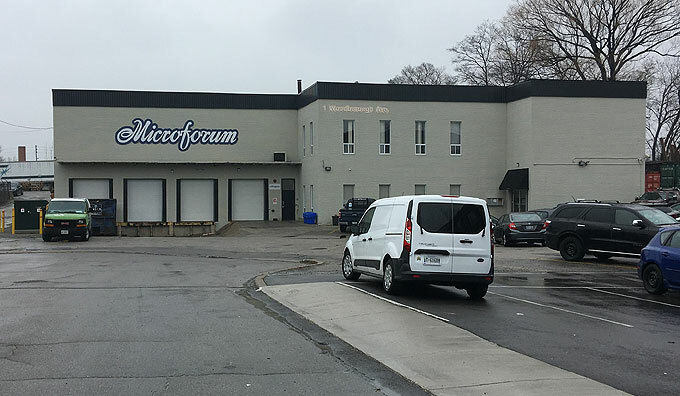 Many say the days of physical media are practically dead. But music you can hold in your hand. Artwork large enough to properly behold and information about all who had a hand in making the album is part of what making music is all about. Much of that is lost in a digital download/stream with just a small jpg of the front of the album and nothing less. 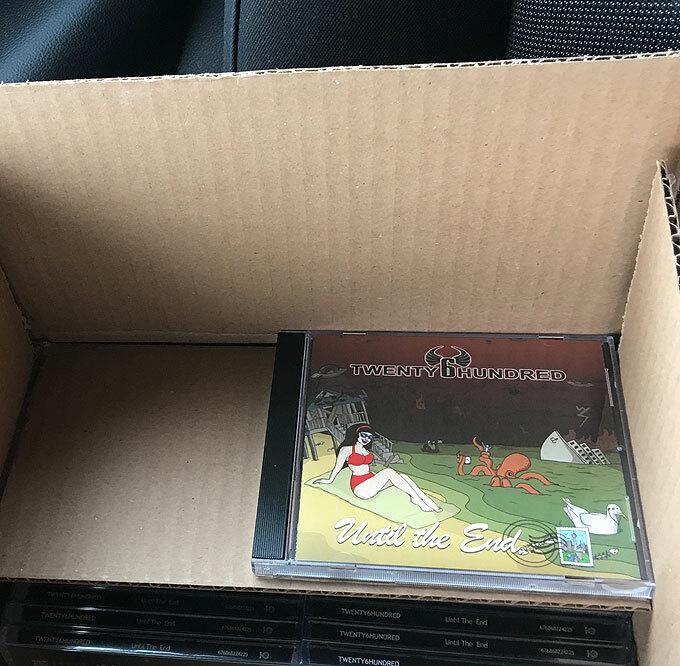 So we at FOF keep producing CDs as the death of physical media is not quite dead yet!